Once again, we have a very obscure novel by an author even more obscure. According to the foreword by D H Olson, the book was initially published by Rider and Co., who specialized in works of esoteric and occult lore, somewhat akin to Weiser Books. However, Rider branched out into fictional works from time to time and Dark Sanctuary (1940?) was one such book. Other mystical novels published by Rider include Bridge Over Dark Gods and Guardian Demons. About the author, H. B. Gregory, very little is known. This appears to have been the writer’s only book and it is dedicated to a wife. That is all we know until someone does some more literary digging around. However, the writer appears to be a convert to Roman Catholicism, based on the intense need to explain this form of Christianity to the reader. Dark Sanctuary opens with a bit of a history lesson. Sir Anthony Lovell must return to his ancestral home of Kestrel, an island off the Cornish coast of Britain. It seems Sir Anthony Senior went down into the crypts of the ancient castle on the island and came back a raving maniac. The family doctor does’nt expect him to live much longer. While preparing for his trip back home, Sir Anthony recounts the story of Kestrel to his friend John Hamilton. The castle on the island had originally been a monastery, but the monks were all massacred during King Henry VIII’s dissolution of the monasteries in 1532. When the abbot resisted their property being turned over to the original Sir Anthony, they were all killed on the spot. With his last dying breath the abbot cursed Sir Anthony and all his descendants. From that day on, all the heirs to the knighthood have died violent deaths on the island. When he learns of Sir Anthony Senior’s condition, Hamilton recommends a hypnotherapist to Anthony Jr. The therapist is known as Dr. Nicholas Gaunt, who quickly diagnosis the case in standard psychotherapic terms. But when the younger Anthony leaves Gaunt’s house, the therapist immediately goes to see a friend named Simon Vaughn. 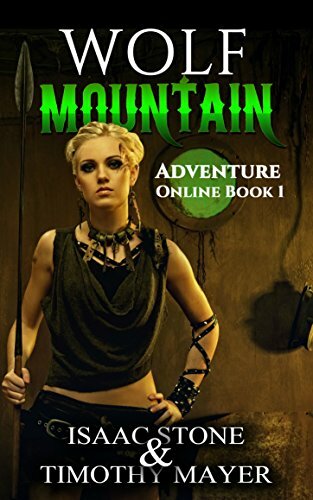 Vaughn and Gaunt, it soon turns out, are not what they seem, but have been waiting for an opportunity to use the ancient evil locked into the crypts below the castle for a long time. Soon Sir Anthony Senior passes away. Anthony Junior inherits the castle and the curse which comes with it. Anthony also falls under the spell of Gaunt and Vaughn, eager to initiate him into their own diabolical cult and gain power over the thing beneath the island. Opposing their plans are Sir Anthony’s good friend John Hamilton, the Roman Catholic priest Michael Bennet and his niece, Valerie. The introduction describes this as an “idea” book. Which is to say it was written to promote certain ideas the author wanted to push. “Idea” books are not that uncommon. For instance, many political novels are written to further a particular ideology. Spiritual idea books can be found in Aleister Crowley’s Moon Child and C.S. Lewis’s Silent Planet. The author behind Dark Sanctuary was pushing a Roman Catholic christian ideal, with the priest Father Bennet opposing the forces of evil in the form of the satanic Gaunt. H. B. Gregory seems to be in favor of mysticism if it’s used in the right direction. He displays some strange ideas about the nature of good and evil. For a person who seems to have been a convert to Roman Catholicism, his cosmology is highly original. The curse which threatens the family of Sir Anthony is nebulous black thing from “beyond the veil”. And, even in the final pages, there is no absolute certainty that good will triumph. 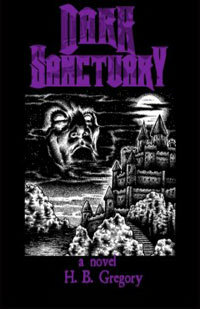 At times, Dark Sanctuary reminded me of the short stories of A. N. L. Munby or R. H. Benson. There is a strong religious overtone to each of these writers which shines through in the novel as well. It’s altogether possible Gregory was familiar with Benson who was well-known earlier in the 20th century. Although filled with Roman Catholic imagery, Dark Sanctuary is still a first-rate horror novel which manages to bring up plenty of chills even today.